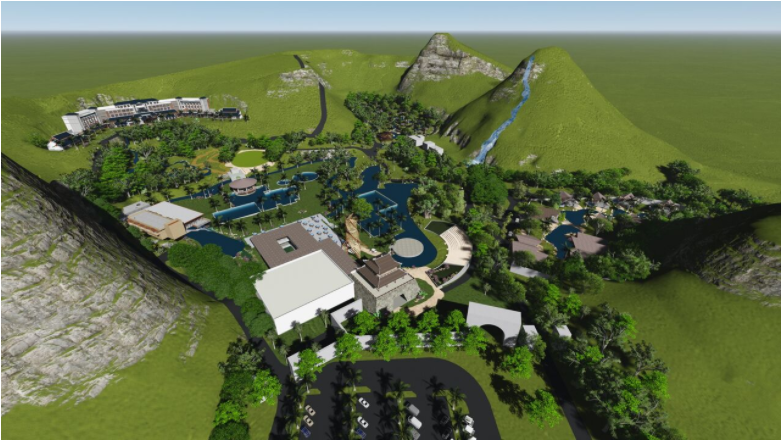 DDP Projects again joined forces with Sun Group to help create a Hot Springs Themed Resort and tourist destination called Quang Hanh Hot Springs in Ha Long Bay. The Quang Hanh Hot Springs is a mountainous, multi-use hot spring recreation area located in Cam Pha town, 10 km from Ha Long Bay. This popular destination is spread out over six square kilometers. A multi-use day area which includes a lazy river, main pool and spa, public showers and lockers, retail and F&B outlets and day use bungalows for rent. A main hotel area — a Hot Springs Themed Resort accessible to the day use facilities but with the advantage of being set slightly hidden for an added sense of space and seclusion. Associated with the resort is a loose chain of guestroom villas. A remote, overnight area that will feature a cluster of floating luxury villas along the island coast, adjacent to the mainland and accessible only by boat. 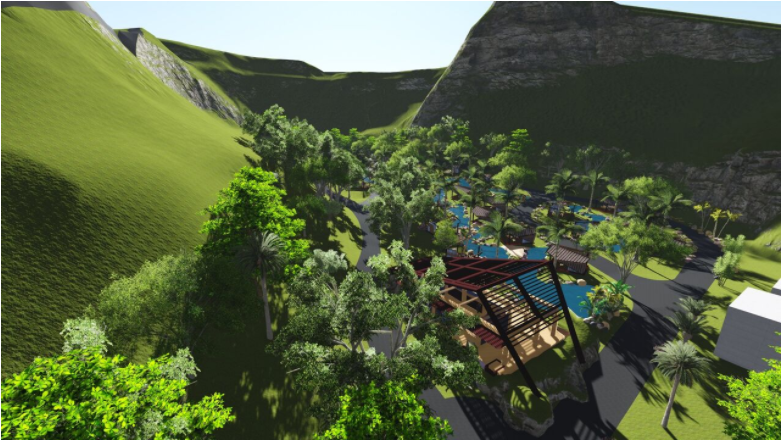 Create the right layout for a variety of recreational and overnighting options that could accommodate a large volume of tourists, while maintaining a connection with the natural beauty of the landscape. From the very start, DDP carefully considered the best use of this natural gem before finalizing their Concept Design. A sense of potential guest flow, circulation and “guest engagement points”. The ability to develop three distinct areas of use while maintaining a unified theme. The wisdom to let the natural landscape be the most prominent element to the design. In short, DDP let the natural landscape give them a better understanding of how to achieve the best overall layout and enhance the Guest Experience. Put in writing an overview of the Unified Master Plan. Create a 3D model to give Sun Group a visual sense of the project. Give details to their Design Approach for each zone with attention paid to “guest engagement points” within each zone. Provide colored drawings, from aerial views to more tightly focused perspectives in effort to better convey the aesthetic of the project. After a more organic approach to Preliminary Planning established the parameters for the project, DDP’s was able to refine the Master Plan with efficiency and flexibility.